Turtleroo is made with durable Sunbrella® Acrylic Fabric. Some examples of the available color choices are below. 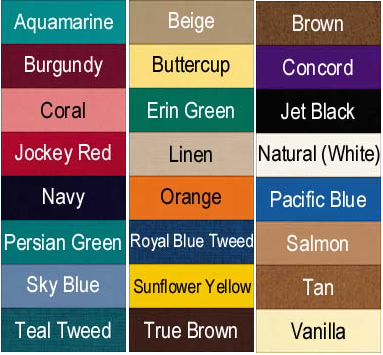 Please visit the Sunbrella® website for a full selection of fabric color choices.